If we hope to perceive the luminous spiritual hyperdimensionality that's been missing from our lives ~ be accepted, syncretized, and integrated into the interdimensional, extraterrestrial, spiritual intercollective ~ teleported into the higher celestial fields of existence... we must be willing to endure the clarifying fires of transformation ~ the expansion and evolution of awareness ~ radical life-changing paradigm shifts ~ the realization of the higher universal cosmic-self ~ entering into immersive exploratory experiences with alternative hyperspace realities and the higher spiritual harmonics of Christ Consciousness. We must be able to manage epiphanic spiritual awakenings into ethereal hyperdimensional realities... which contain beings and supernatural hyperdynamics beyond anything we could have imagined. ​The eyes of the mystic transport us beyond extraneous dreams, desires, delusions, and misperceptions ~ the pseudo-reality paradigms of ego-mind ~ to an alternative spiritual superconscious hyperdimensional reality at the depths of our being... we are transported beyond logic, thought, and sophistical intellectual cognitive processes ~ into a progressive hyperintuitive holistic understanding of the fundamental nature of the higher celestial planes of existence... into a life of ecstatic transcendental vision, insight, perception, and revelations ~ profound esoteric mystical knowledge and mind-expanding transformational journeys into living hyperdynamic cosmic-energy fields and supernatural forces of the primordial subatomic spiritual energy matrix. It is an ethereal life of immersive explorations and epic spiritual odysseys into alternative hyperspace realities ~ where multidimensional fractal codes begin unraveling and breaching the walls of ordinary reality ~ allowing us to inter-penetrate, harmonize, and interconnect with higher dimensions and ancient hyper-evolved spiritual deiforms. We are transported beyond the closed, non-experiential, mechanical, insular systems of blind-belief to a life of hyperintuitive awareness and integrative, fifth-dimensional, paraphysical experiences ~ the true spiritual life that allows experimentation and interplay with the supernatural / transcendental / UFO phenomenon... radically altering the way we perceive space, time, and reality itself. ​The eyes of the mystic transport us beyond distortions, hyper-materialism, egotism, and sensationalism ~ beyond psycho-pathological cultural programming, intellectual constructs and ill-conceived ideologies ~ beyond rational, preconceived metaphysical barriers and closed mechanical systems of blind-belief that stand between us and the consciousness of God. Entheogenic spiritual technologies, which are incorporated into the program, are designed to open one's heart to the higher Aquarian consciousness paradigm ~ stripping away layers of perceptual programming ~ the electronic fog and hallucination of western culture hyperconsumerism ~ helping us to recognize and transcend the restricted spectral bandwidth of worldly three-dimensional phenomena, which is coterminous with, representative of, and ordinarily encountered within the subcelestial, corporeal, third-density level ~ the insular, high-density, quasi-reality matrix... what is normally perceived and experienced throughout the entirety of one's physical sojourn through this perverted, self-serving, avaricious, material-oriented, celebrity-culture lifestyle. ​The eyes of the mystic transport us beyond logical, dialectical, and dry intellectual processes ~ the limited parameters of mind ~ into transcendental, super-conscious hyper-realities at the core of being ~ into a mystical hyperintuitive awareness and understanding of the underlying spiritual foundations of existence... beyond closed mechanical systems of belief into transpersonative, theopathic, hyperphysical, fifth-dimensional, spiritual experiences ~ thoroughly altering, disrupting, conflicting with established mainstream religious/societal archetypes, values, principals, and beliefs ~ forcing us to reevaluate, reconsider alternative spiritual lifestyles ~ transforming the way we see, understand, and interrelate to the spiritual experience, the cosmos, and the mundane material world ~ to the way we perceive space, time, the universe, religion ~ existence itself... Allowing us to perceive radical, psychedelic, integrative paradigm-shifts ~ discover, experience, and interlink with alternative frames of reference, astral realities, and higher-dimensional supernatural beings. We are a collective of paraphysical researchers, seekers of existential/spiritual truth, interactive/experiential hyperspace explorers, and UFO investigators. We help people discover, encounter, and have ego-dissolving, epiphanic, transpersonative immersive experiences, as we interpenetrate and explore the interdimensional / extraterrestrial / UFO / hyperspace phenomenon. As spiritual scientists, we investigate, evaluate, experience and teach the mystical, the transcendental, the esoteric, the universal ~ how to enter states of desirelessness, egolessness, nonattachment ~ altered states of universal cosmic-consciousness. We help individuals realize we are not the gross physical body, the brain, or the mind. We are accelerating the processes of spiritual awakenment, transformation, and rebirth... helping seekers become aware we are ~ in our most essential, elemental, reduced form ~ pure spiritual awareness entities ~ not of this world... temporarily inhabiting high-density, physical, three-dimensional containers ~ in the atomic/molecular, space/time continuum. 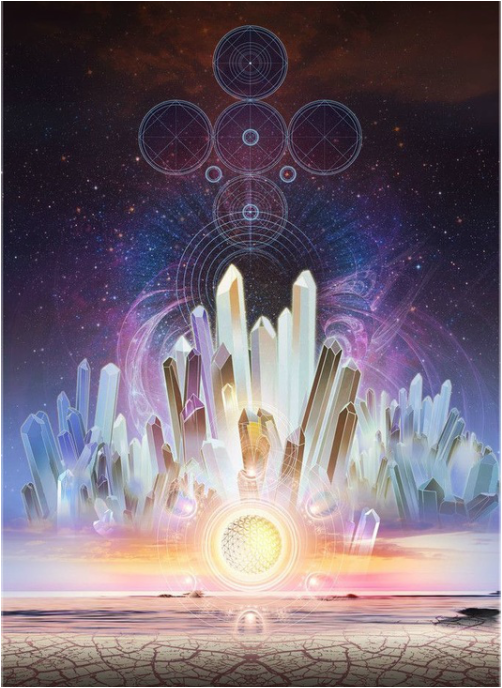 ​The reason you were sent into this physical plane was so the interdimensional overseers could see exactly what you are made of ~ to see if you have what it takes to ascend to the pinnacle of the mountain ~ to see if you are able to attain the pearl of infinite value and bring it home to them. But the sad truth is, most humans are unable to comprehend, deduce, or unravel the actual reasons why they are here: to experience, explore, and interface with transcendental dimensions, mystical supernatural realms ~ the ethereal subatomic realities ~ where hyper-evolved translucent beings of a higher order exist in ecstatic spiritual states of universal bliss-consciousness ~ providing human seekers of existential/spiritual truth with guidance, oversight, assistance, and protection ~ elucidation, cultivation, and transformation ~ assimilation into the higher astral planes of existence.... esoteric mystical knowledge concerning God, higher existential truths, alternative hyperspace realities ~ new transpersonative ways of intermerging, synchronizing with the higher spiritual harmonics of the primordial hyperdimensional superconscious intercollective matrix. ​Information regarding all hyperphysical phenomena ~ the deepest mysteries of the universe are readily available ~ within-reach ~ to all explorers who learn the secret art of interrelating, intermerging ~ having intimate spiritual intercommunion with the ancient supernatural luminous beings of the higher planes of existence. They ardently edify, awaken, and indoctrinate all spiritually undeveloped, unrealized, and unaware entities who demonstrate a genuine interest in learning their spiritual methodologies and transcendental ways of life. But eventually, whether knowledgeable, experienced, prepared or not, the unaware, the unilluminated, the unindoctrinated must face a rather harsh, unpleasant reality: their journey through the high-density, atomic / molecular, three-dimensional, physical electromagnetic, space/time continuum ~ filled with mesmerizing extrinsic factors ~ the "other" ~ cannot go on forever... they will be shocked, bewildered, and dismayed to discover, while traveling down the old, familiar, comfortable road ~ the "high" road of materialism, prestige, and disharmony ~ which they always had dreamed to be taking them toward some extraordinary, magical western culture utopia... the road upon which they've spent their entire lives navigating ~ wandering aimlessly through, mirages, artifices, and insignificant cosmetic superficialities ~ through the electronic fog of the physical plane, has suddenly come to an end... and they are rapidly approaching the conclusion of their physical sojourn ~ the only quasi-reality they ever bothered to become aware of... and will be entering into a paraphysical, supernatural, esoterical realm ~ the "unknown" ~ a living primordial hyperdynamic superconscious field of interconnectivity... an area that most humans are completely unaware of ~ untrained, uninitiated, and unknowledgeable in. Expediently and conveniently we create distractions, abstractions ~ implausible one-dimensional approximations ~ hyperbolic quixotisms ~ caricatures of reality... This has become part of western culture ~ the epicurean, hypermaterialistic, escapist lifestyle ~ a deeply-rooted integral factor within the equation of the "American dream." But there's a limit to how long one can persist in conveniently creating, inventing, and formulating misrepresentations ~ and there's limits to how long one can postpone coming face to face with ultimate reality, existential truth, and the insuperable, interdimensional overseers... And there's a limit to how long you can keep all of your dreams from turning into nightmares. ​Our interdimensional supernatural angelic overlords want to see who can meet the high standards of their spiritual criteria ~ who is spiritually trained, prepared, and grounded... who can demonstrate themselves cultivated, competent, and worthy of being elevated to the next level of existence. This physical sojourn you are currently experiencing is a possibility, an opportunity, a gift of time ~ of a few short years ~ from ultra-advanced hyperspace beings from beyond the physical dimension ~ from the hyperdimensional intercollective... to see who is spiritually conscious, aware, hyperintuitive, Self-Realized ~ who can find the keys to the higher spiritual planes of existence that allows one to escape the jaws of death and continue to live beyond the physical plane. They want to see which humans indicate, demonstrate, and establish themselves to be mystical hypersensitives, hyperintuitives ~ to have realized their higher spiritual potential ~ their universal cosmic-selves. The angelic hyperdimensional intercollective would like to put us to the test; they are interested in monitoring us, having close-encounters, and spiritual intercommunion with human beings who are interested enough in Truth, alternative transcendental hyperspace realities, and the higher Aquarian consciousness paradigm to see through the thin facade, the deception, the grand illusion... the quasi-realities created through the misrepresentations of ego-mind... the distractions, affectations, and pretenses of the world. Ultimate Truth ~ the essential integrative reality ~ that all things are intrinsically interrelated, interconnected ~ existing in a state of Oneness ~ in a unified, spiritual, superconscious intercollective ~ is veiled, concealed, obfuscated. As unenlightened, unrefined souls we are deliberately thrown into this physical dimension, in a state of spiritual and existential unconsciousness: in order to awaken us, illuminate us, and transform us ~ trigger mystical insights, revelations, and alternative perceptions ~ help us realize who we actually are at the deepest levels of our innermost being. It is the authentic spiritual rebirth ~ the realization of the higher universal spiritual Self. Our illusions of "others" and "enemies" during our physical sojourn ~ how we choose to interact with friends, family, coworkers and loved one's ~ resolve confrontations over the course of our lives ~ reveals our true nature ~ our capacity for compassion, love, and forgiveness ~ who we really are ~ where we belong. We live out our lives in a self-absorbed, egocentric, hyperconsumeristic, material-oriented, pseudo-reality bubble ~ assuming that our highly compromised, heavily-filtered, incomplete, three-dimensional life-experiences ~ systematically projected onto the screen of our consciousness... through the limited, superficial faculties of primitive, one-dimensional, human intellectual processes... as if an existence that is invariably encountered, experienced, and misperceived through the heavily distorted, opaque lenses of the ego-mind ~ a natural organic reducing valve which has a scope of operation that does not extend beyond the three-dimensional, physical, space/time continuum ~ could somehow be an accurate full-dimensional representation and evaluation of the full bandwidth of reality. But the mind is incapable of perceiving or rendering a precise, full-dimensional, integrative mental reflection, representation, or envisage of reality... because the mind's scope, effective operating range, and design parameter are narrow, insular, restrictive, and circumscribed ~ it is explicitly limited to phenomenon occurring exclusively within the rudimentary subcelestial elements of the physical dimension. We can be certain the mind was never designed to detect anything hyperphysical, extradimensional, or subatomic... all hyperdimensional spiritual phenomena is filtered out ~ goes undetected ~ (i.e. faster moving higher harmonics ~ subatomic astral planes ~ alternative, ethereal, hyperspace realities and beings). The new understudy must learn to transcend all guessing, all presuming, all closed, mechanical systems of blind-belief ~ of derivational information ~ of other peoples theories and experiences. Until we master the art and science of living in attunement with the divine Music of Everything ~ of maintaining and being in meditative states of symmetrical concinnity with the transcendental integrative higher spiritual harmonics that open doors of perceptivity into the supernatural hyperdynamic oceanic fields of interconnectivity... Until we master the art of living in synchronicity with the higher vibrational resonance that our ethereal hyperdimensional angelic overseers, masters, custodians over the earth and human race exist in ~ they prefer to remain in their indigenous, fifth-dimensional, spiritual, hyperspace environment ~ while employing various interface mechanisms that enable them to remotely interact with the three-dimensional corporeal realm, and it's primitive unevolved inhabitants. Therapeutic, holistic, cathartic, and spiritual technologies should be employed as seekers requisition us for support, assistance, and relief, after suffering long-term exposure to a broad-spectrum of hypothetical, unsupported apocryphal metaphysics and ambiguous teachings inflicted upon them by inept, inexperienced impostors and opportunists, who rely on vague, indirect, second-hand, spurious information ~ who seem to be endowed with an innate propensity for perfidiously designing, imagining, or fabricating elaborate, anecdotal, science-fiction fantasies out of thin air... and the more absurd, fantastic, and bizarre the better ~ the more people are ready to jump in with both feet. To the stereotypical, platitudinous, spiritually unawakened human mind ~ which has become disconnected from the spiritual dimension, the primordial living matrix of superconscious hyperdynamic interconnectivity, and oceanic cosmic-energies ~ it becomes an overpowering compulsive desire to fill the void of emptiness within one's inner-being with the "other" ~ with almost any mental or physical construct ~ with any convenient external factor or distraction which one develops the slightest interest in or attraction to... especially for people who have yet to realize the higher spiritual self... and are unable to access, channel, or dissolve the experience of the ego-self into God's universal supernatural hyperdimensional field of living spiritual-energies. ​Such individuals have a deep need to feel highly esteemed in the eyes of others...to feel as if they've been elevated to a rarefied, illustrious status. And if such a person's life happens to intersect with the interdimensional, extraterrestrial, UFO, hyperspace phenomenon, then that is what they begin to focus on, become preoccupied with, and become a formidable expert on... that is what one's life begins to orbit around for all the wrong reasons. It becomes a high-priority imperative in one's life to become fully assimilated, adopted, and immersed into the latest cutting edge, extemporaneous, New-Age, UFO frippery ~ the latest delusional, pathological, schizophrenic, ego-mind-trip... and it invariably turns out to be a sham ~ a deceptive subterfuge of psychotic, delusional envisagements... a confidence operator posing as a guru, suggesting you are one of a precious few hypersensitive, clairsentient, harmonically synchronous humans, especially selected by the ultra-advanced extraterrestrials ~ chosen to be a guardian over highly esoteric, prophetic, mystical knowledge that will determine the fate of the earth and the human race. ​Yes, the human race is hanging by a thread... it's perpetuation, advancement, and survival will be be determined almost entirely by your ability to raise levels of spiritual consciousness ~ mystical visions, insights and revelations ~ increase awareness of alternative hyperspace realities... to balance and synchronize the primordial vibratory resonance, auric fields, higher spiritual harmonics and hyperdynamics within the innermost cosmic depths of being, which is integrated and interlinked with the primary subatomic foundational substructures of existence ~ the supernatural transcendental hyperdimensional singularity, that perpetually emanates out of the divine super-omnisciency of God... and you, of course, happen to be one of but a few hyperintuitive clairsentient human beings on the earth, spiritually hyper-evolved enough, to be able to successfully culminate this exigent metaphysical mission, which is the triggering, the quickening, the advancement of a mass spiritual awakening of the human race, before a spiritually unsophisticated, unindoctrinated, and adynamic mankind destroys itself with overpopulation, nuclear war, and climate change... It all has to do with the giant crystals the Atlanteans left buried miles beneath the earth in seven locations around the earth, (ad nauseam). And you are simply expected to acquiesce, surrender, and conform ~ feel obligated to pay deference ~ become a hypnotized, fanatical blind-believer and dedicate your life to this ~ based on nothing more than mere words from this "glorified talking monkey." And of course, as part of the "soul cleansing" process, so that you are no longer attached and dependent on worldly possessions, you must donate all of your money and possessions to them. They are pernicious experts who take advantage of the misfortunes of others ~ their desperation, sorrows, emptiness, and loneliness. People who get involved in these pseudo-ministries are bound to end up confused, disappointed, and dispirited ~ convinced that the entire spiritual phenomenon is all nothing more than deceptions, delusions ~ the psychotic hallucinations of mentally unstable religious fanatics. And remember: when someone applies to become a student apprentice within the Interdimensional Spiritual Awareness Project ~ nothing happens ~ no one's spiritual journey leaves this shore for the Far Country until the potential client first witnesses, and has some degree of direct, close-encounter, interactive/experiential interplay with the mystical / supernatural / UFO / hyperspace phenomenon.